5 SEATER 4X4 WITH LOADS OF SPACE! REDUCED FOR QUICK SALE! GREAT VALUE! 5 SEAT MODEL! 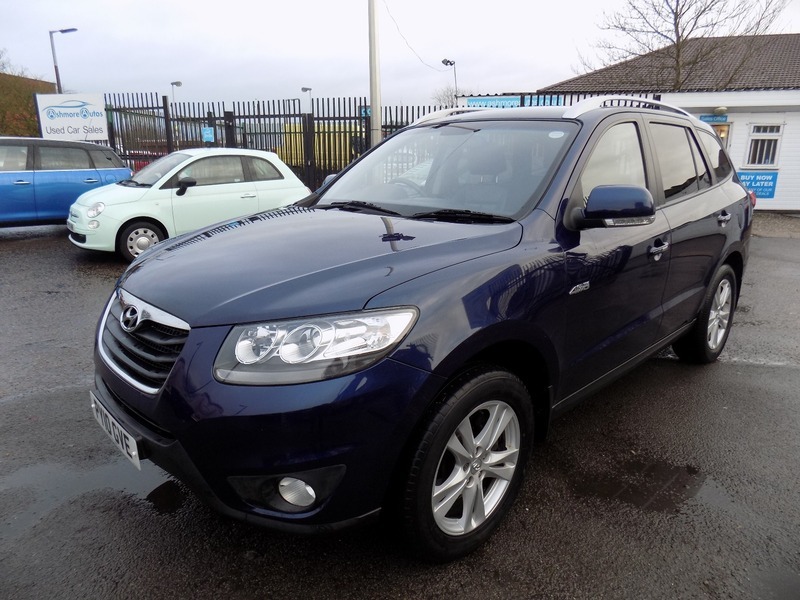 *** SANTA FE PREMIUM DIESEL 4x4 *** FANTASTIC VALUE *** FULL SERVICE HISTORY *** GREAT SPEC INCLUDING FULL LEATHER, HEATED SEATS, PRIVACY GLASS, ELECTRIC SEATS, ELECTRIC FOLDING MIRRORS, CLIMATE CONTROL ETC. *** The car will be serviced before sale and comes with 12 months MOT. It also comes with a comprehensive mechanical warranty and 12 months AA Roadside Assistance. Please call for any further information about this car.